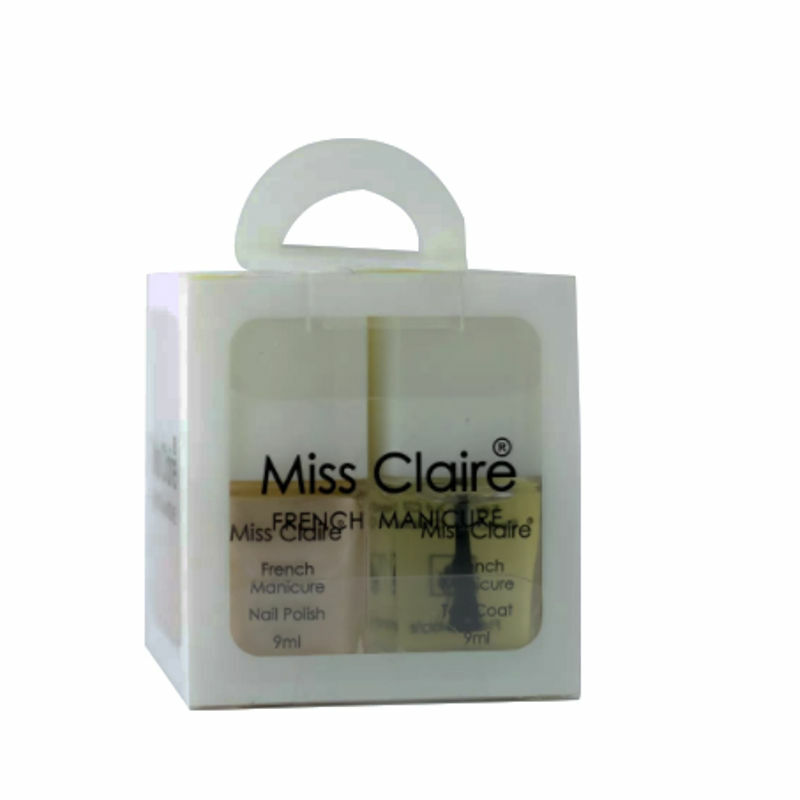 Beautifully glossy nails can now be yours with this easy-to-use Miss Claire French Manicure kit. Featuring two nail polish options A " a pretty pink or a more translucent neutral A " white tip polish and a top coat to bring it all together, this kit will help get your nails looking on point in no time at all. Explore the entire range of Nail Polish available on Nykaa. Shop more Miss Claire products here.You can browse through the complete world of Miss Claire Nail Polish .